Property 8: Buddy's Bungalow - Magical Creekside Cabin! Property 9: $120 a Day. RIGHT ON Clear Creek. Tiny Home! Overlooks 20ft. trout stream! Property 12: Riverfront home w/ hot tub, firepit & wrap-around deck - dogs welcome! Property 13: Luxury River Front Cabin Hot Tub, Large Game Room, Fire Pit by the River, WiFi. Shady Hollow--Romantic Couple's Getaway with Hot Tub, Internet, and Cable! Property 16: Shady Hollow--Romantic Couple's Getaway with Hot Tub, Internet, and Cable! 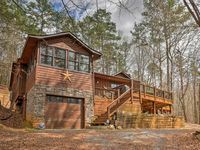 Property 20: Secluded & Luxury Ellijay Cabin w/ Hot Tub & Deck! Property 25: Rushing Rapids, Trout Fishing , Enchantment !!! Property 28: Beautiful Cabin with Hugh Game Room, Hot Tub, WiFi, Fire Pit, Screened in Deck. Cozy Cabin minutes from Downtown Ellijay, and Blue Ridge! Property 29: Cozy Cabin minutes from Downtown Ellijay, and Blue Ridge! 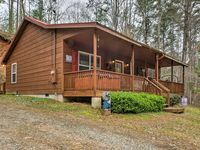 Property 30: Cozy Ellijay Cabin w/ Hot Tub & Game Room! Property 31: Make beautiful memories and enjoy the nature all around you! The American Dream! Lake Front Cabin - Very Secluded! Free WIFI! Property 36: Lake Front Cabin - Very Secluded! Free WIFI! Cabin with Creek, Outside grill, Fire pit, Wifi. Book 7 days for great discount. Property 37: Cabin with Creek, Outside grill, Fire pit, Wifi. Book 7 days for great discount. Waterfront Cabin with Deck for Trout Fishing & Sun Bathing - Canoe Provided! Property 38: Waterfront Cabin with Deck for Trout Fishing & Sun Bathing - Canoe Provided! STAY 2 NIGHTS GET 1 FREE UNTIL May 31st! Property 39: STAY 2 NIGHTS GET 1 FREE UNTIL May 31st! Property 50: Cabin in the woods w/ private hot tub, views, paved road access - 2 dogs ok! We enjoyed every moment. Comfortable and quiet!